I'm not a big Beatles fan. Kind of weird, since I love a lot of music that apes the Beatles sound, and all that. It's not to say the Beatles are a bad band, but I've never been able to get into them. For example, my favorite Beatles song? "And Your Bird Can Sing." Kind of weird, right? The Big Super Duper Hits don't really do it for me, either. But this isn't about the Beatles, but I figured with our readership and such, maybe you can help me change my mind. 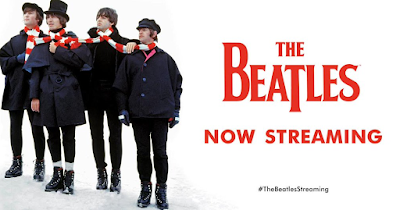 So here's what I want to do: either here, or on our Twitter page, or over on Facebook, leave a comment with a Beatles song you think I should know. Maybe it's a big hit I should reconsider, but I'm really more looking for those hidden gems that I might have missed along the way. In a perfect world, I'll take the top 20 or so, especially if there are repeat offenders. Still, recommend a few to me. Show me what I'm missing, as this is the first time in my life that I've had most of the Beatles songs at my fingertips. So have at it! I'll post the final results on the first Monday of the new year.